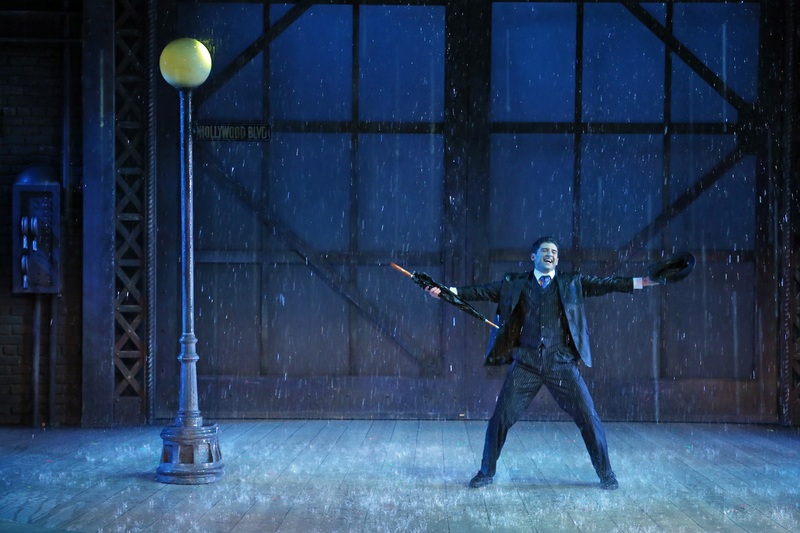 Singin’ in the rain is probably best known as the film with the famous scene starring legendary Hollywood dancer Gene Kelly swinging on a lamppost singing the title song, but after a visit to the Palace Theatre I have discovered a new love for this classic tale of romance and the movies. The show has just had a revamp, with new cast members joining the show, but the musical is as highly enjoyable as ever. 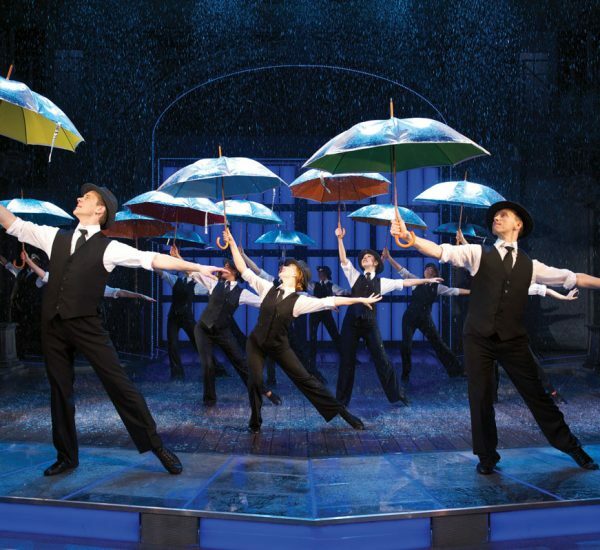 In fact, the performance carries all the charm, romance and comedy you could ask for in a night out at the theatre. 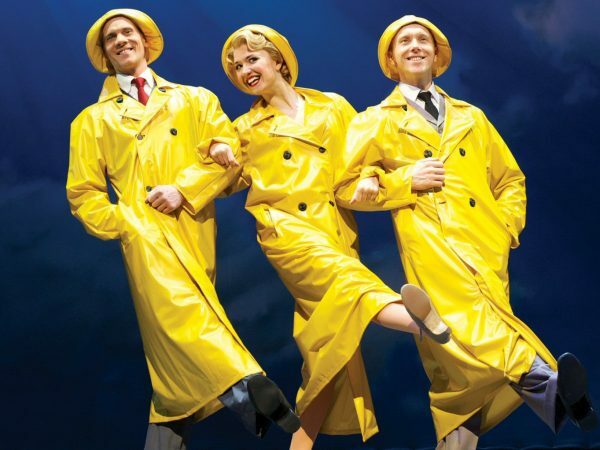 Jonathan Church’s production features a glorious score including the classics Good Morning, Make ‘em Laugh, Moses Supposes and the legendary Singin’ in the Rain – giving the audience plenty of numbers to sing-along with. 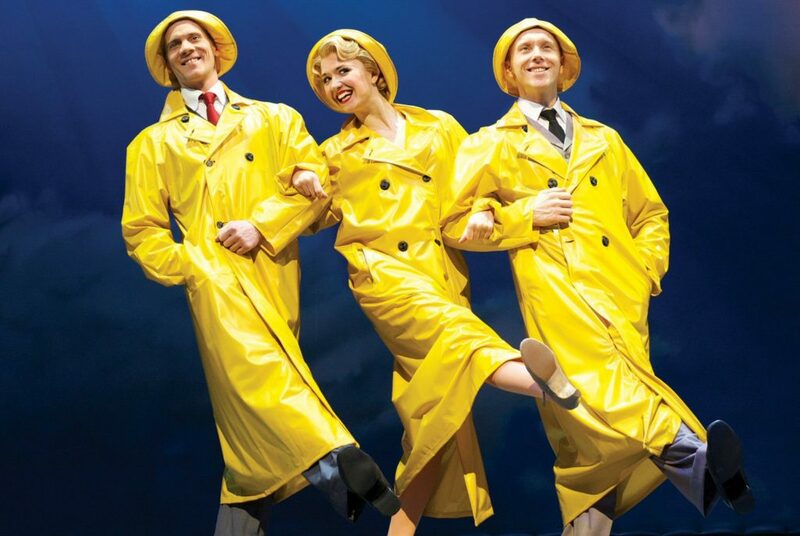 Adam Cooper (staying on from the opening of the show), Stephane Anelli and Louise Bowden are a joyous trio, dazzling in the roles made famous by Gene Kelly, Donald O’Connor and Debbie Reynolds. They lead a multi-talented cast which also features television and West End star Jennifer Ellison as the hilarious blonde bombshell Lina Lamont; Ellison outshines in a hilarious role that is performed with superb comic timing. The musical is highly faithful to the original 1952 movie yet sufficiently different as not to invite unflattering comparisons. The costumes and dancing sequences are a dream, with the movement of Cooper’s feet sublime in the famous scene, and the “Broadway Ballet”, where he is joined by Frankie Jenna playing the Cyd Charisse role. The movie inserts, in which we see the vehicles for silent film stars Don Lockwood (Adam Cooper) and Lina Lamont (Jennifer Ellison) as they try to make the transition to the talkies are cleverly done, and make for some very comical moments.With stylish, soaring choreography from Andrew Wright and Simon Higlett’s sumptuous set design, Singin’ in the Rain will shower you (quite literally if you are in the first few rows) with everything you could ever want in a hit West End musical! 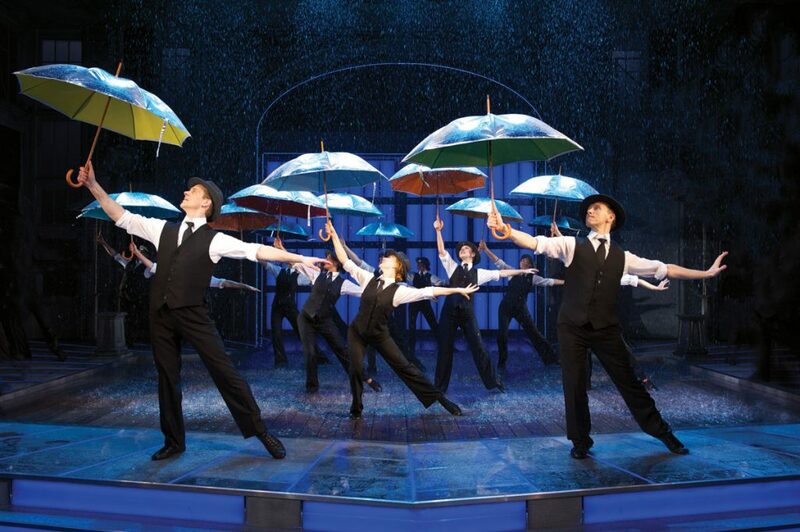 Singin’ In The Rain is on at the Palace Theatre until 8th June. Tickets can be booked at the Box Office or online.